Tomorrow is Easter Sunday. 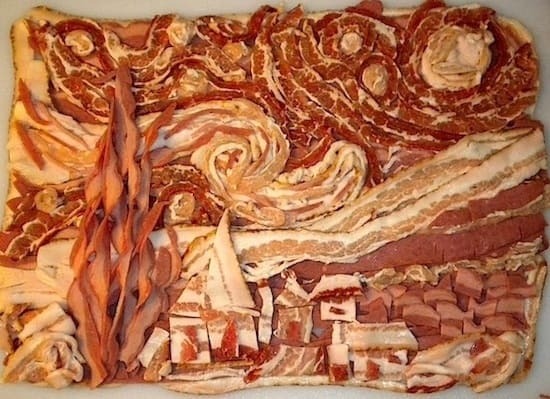 But, today, March 30th is Vincent Van Gogh’s birthday. 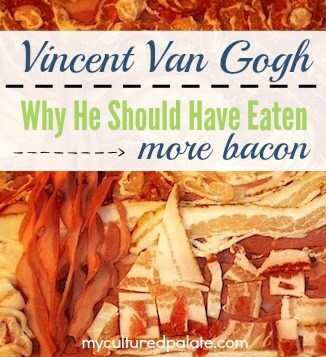 In honor of his birthday, I am excited to have Kaayla Daniel from the Naughty Nutritionist to share with you, her take on why Van Gogh should have eaten more bacon. and ending it all at age 37 with a gun. food might be just the thing to support our inner pig. without at least two strips of the original “feel good” food.